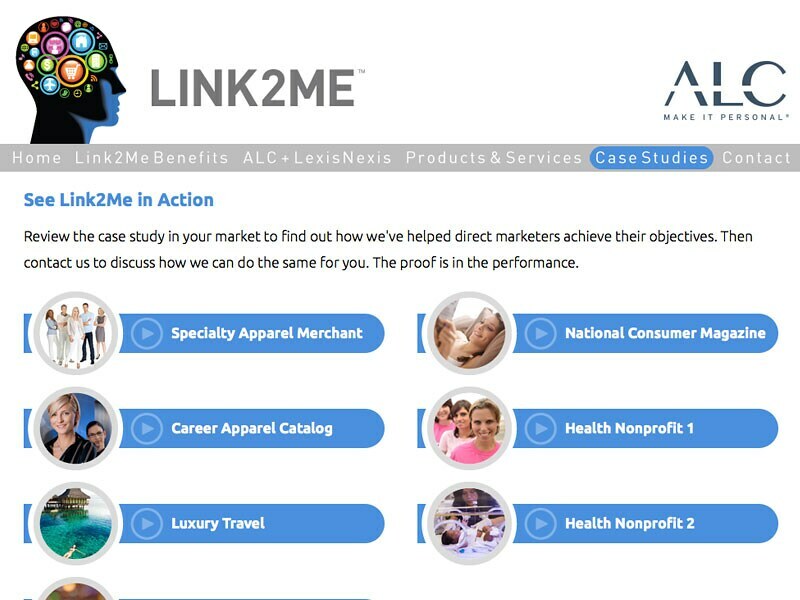 ALC is the direct marketing industry's leading privately held direct and digital data marketing solutions provider, spearheading innovation in multi-channel marketing. 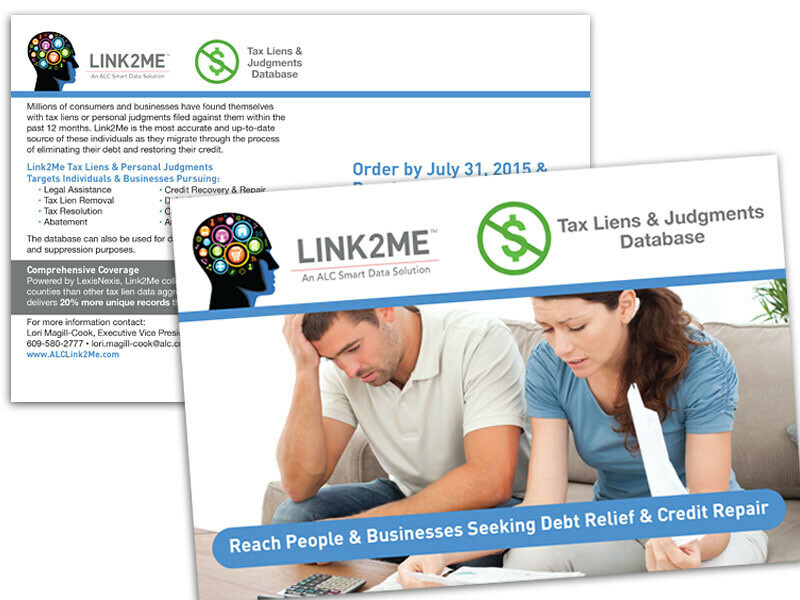 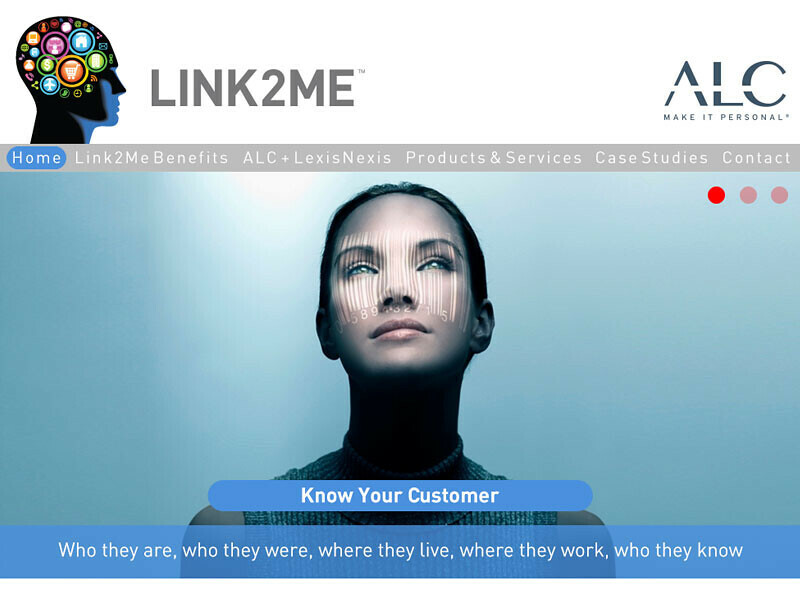 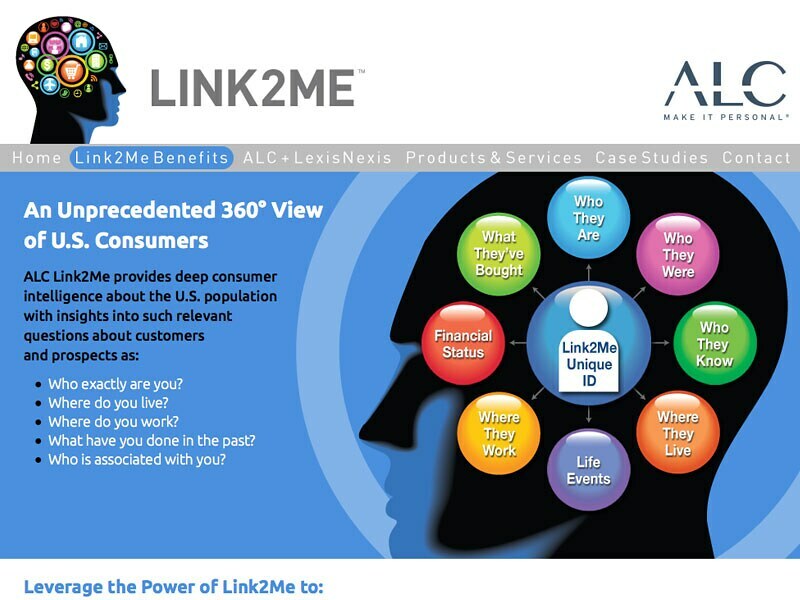 ITO designed the ALC Link2Me website, presenting unique products and services developed to help marketers learn more about their current audience and ensure that they are accurately addressing them and reaching those who are influenced by them. 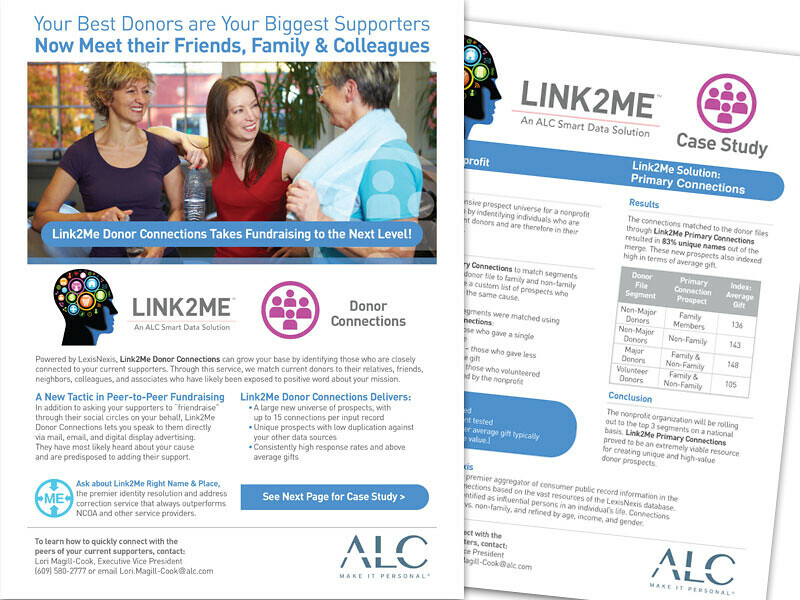 Throughout ITO's decades-long association with ALC, successful collaborations cover a wide array of marketing materials including several websites, email and powerpoint templates, sales sheets and brochures, print advertisements, and award-winning exhibit booth designs.